Is Historic South End the next arts district? Is Historic South End the next Arts District? The entrepreneurs at Donna Scott Productions emphatically say YES! 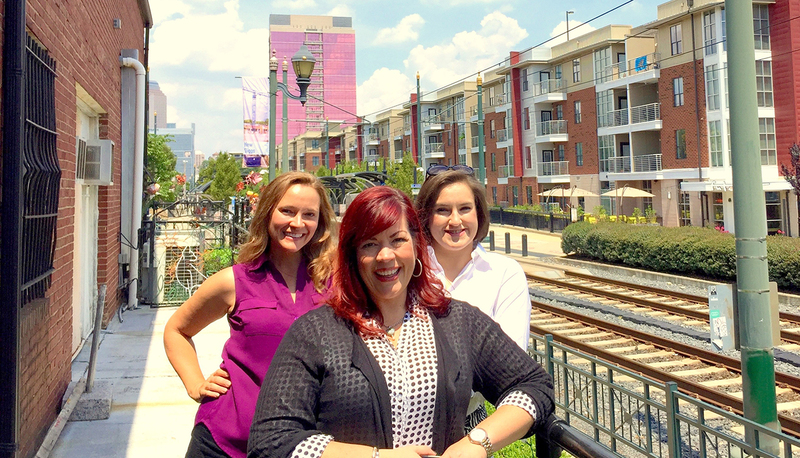 The ladies of Donna Scott Productions (DSP) – Donna Scott, Tonya Bludsworth, and Glynnis O’ Donoghue are bringing theatre to South End. 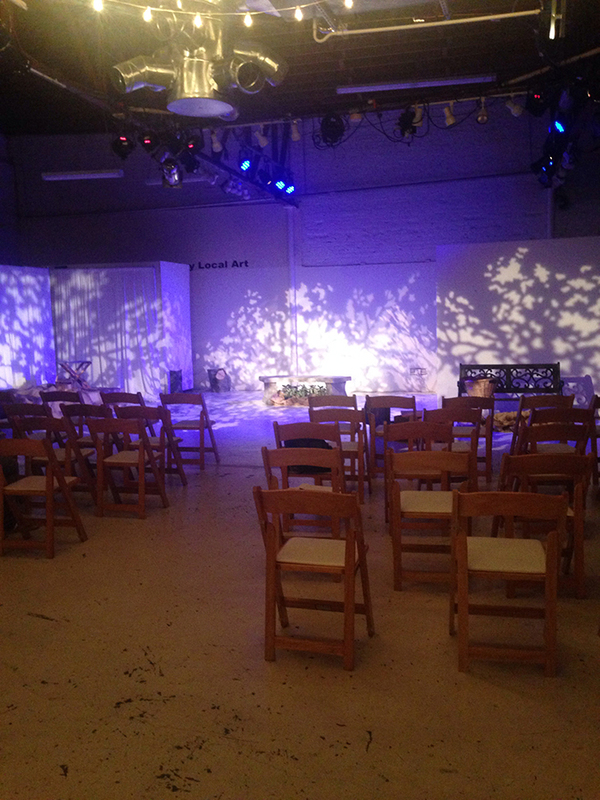 Armed with an Arts & Science Council grant and through collaborations with local businesses and the Historic South End, DSP is taking non-traditional spaces and ‘Popping Up’ full-fledged theatres. Donna Scott Production’s goal is to provide creative opportunity for audiences, artists and collaborating partners to participate in unique and engaging theatre in Charlotte. ‘Pop-Up Theatre’ is much like a pop-up store or restaurant. 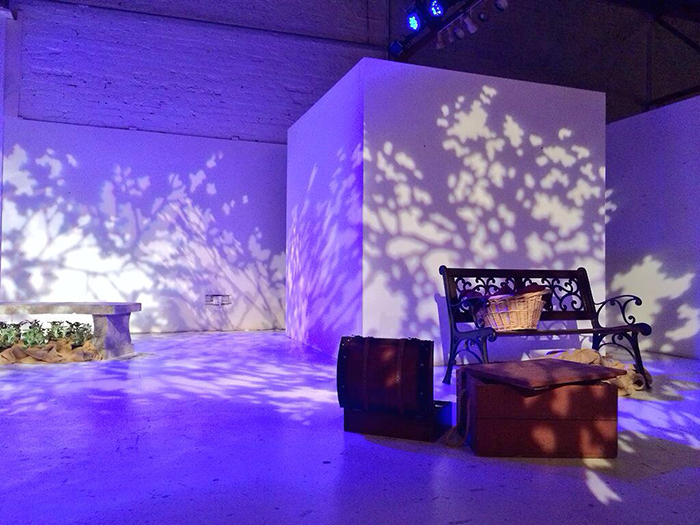 With the help of professional grade lights, sound, and seating – what was once a backroom or lobby becomes a theatre. So far the response in the historically dry theatre area of South End has been phenomenal. Wait… Is that a Museum? 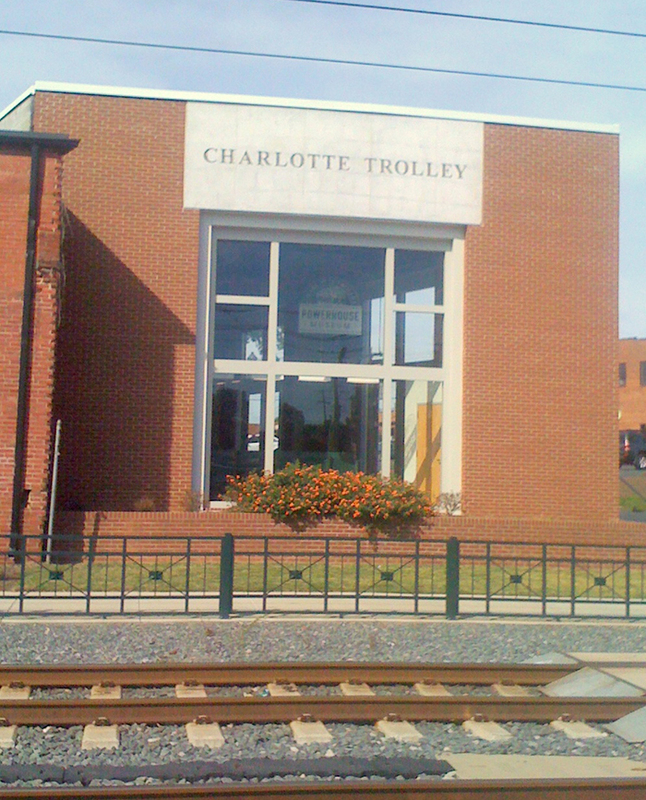 Mostly… In January DSP took over the Charlotte Trolley Museum to perform Carrie Ann’s Kiss written by Tonya Bludsworth. 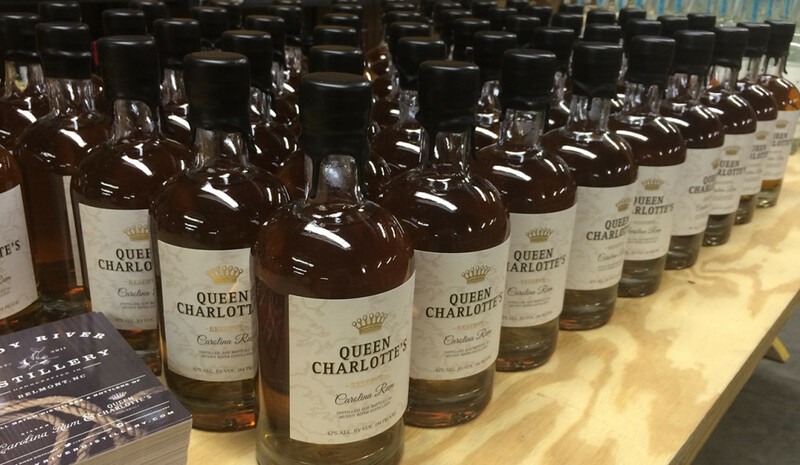 It was their first endeavor in South End – and it was a hit. The play performed to packed houses over their two night run. Their success proved that collaboration with non-traditional spaces would work in the area. DSP, who is celebrating their 10 year anniversary this year, has always been a theatre vagabond. 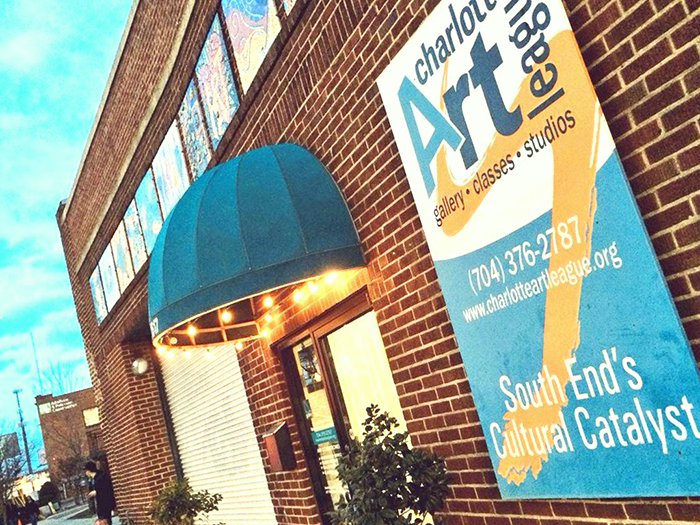 When a need for a different space arose they looked around the area and found Charlotte Art League (CAL) right next door to the Museum. The CAL is celebrating their 50th anniversary this year. The space exist for the purpose of art: to create it, teach it, foster it, promote it, advocate for it, and grow from it, thus enriching the community. 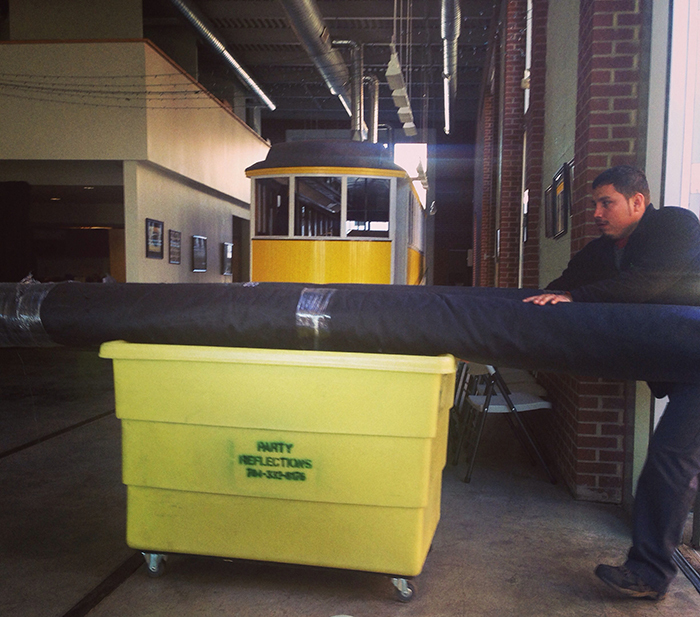 (So you can tell – they dig art…) The CAL is a collection of 17 Studios and 76 walls for artist to display their work. They also happen to have a large lobby – that to DSP – looked like a potential theatre. 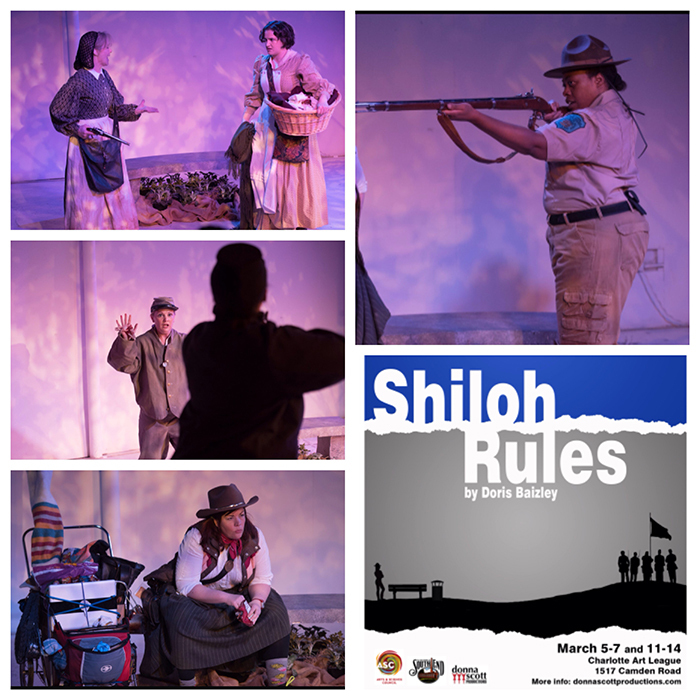 Staged in that lobby in March, DSP produced Shiloh Rules by Doris Baizley. During the 2 week run of the show, CAL sold 17 pieces of art to patrons. Two weeks after the show closed 8 additional pieces were sold to audience members. One of artist was hired for a commission, a wedding was booked in the CAL space for November, and their social media footprint exploded. DSP and CAL found their stride. The show helped sell art! The Pop-Up Theatre model is meaningfully moving the needle for CAL. DSP is very excited to have found a partner and a facility in which to produce theatre in South End. CAL can even offer rehearsal space to DSP which in the world of theatre is a huge deal. Up next for DSP, again staged at CAL, is the hysterical comedy The Book of Liz by Amy and David Sedaris playing August 6-22. Tickets will soon be available via CarolinaTix.org. “I would love for DSP to have a home with us. Since they came to the Art League in February there has been a vibe that there is something new happening here – something that is out of our comfort zone. We are meeting new people and it’s just exciting,” Connelly said. That’s what collaboration is really all about in art and business. Is Historic South End the new Arts District? 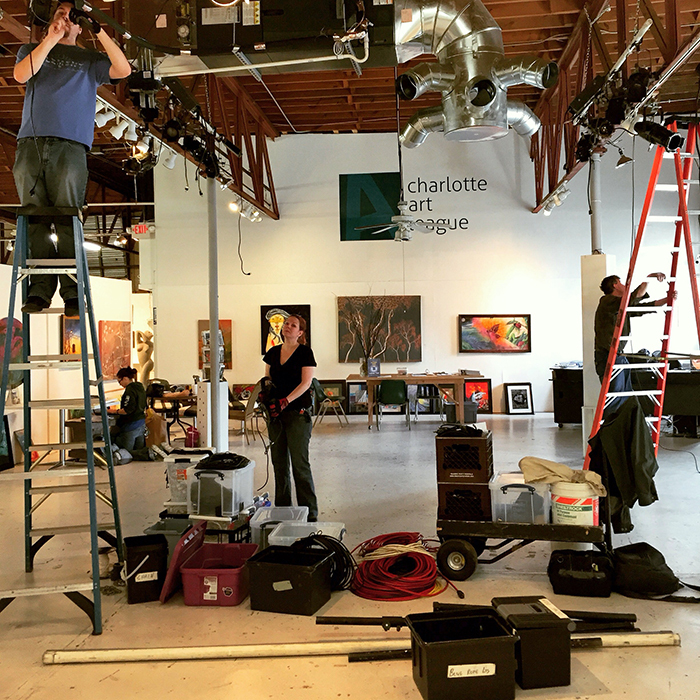 With movers and shakers like Donna Scott Productions and Charlotte Art League, it may soon just be the place to see innovative theatre.